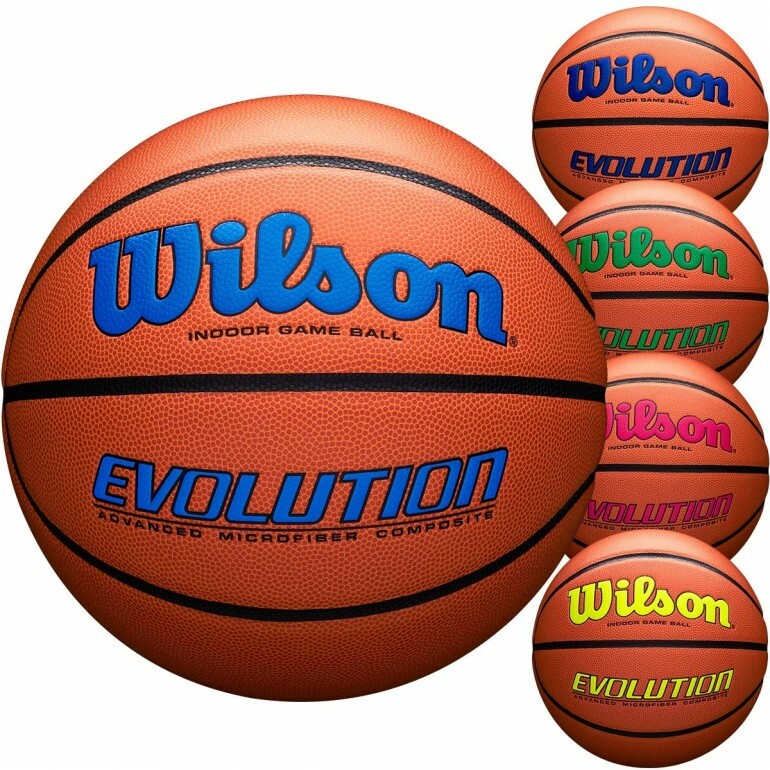 Wilson Official 29.5 Evolution Basketball has a microfiber composite leather cover with deeply embossed pebbling providing the ultimate in feel and control. 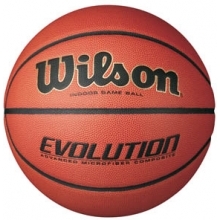 In addition, Cushion Core Technology combines low density sponge rubber and ultra durable buytl rubber producing a basketball with a pro touch. 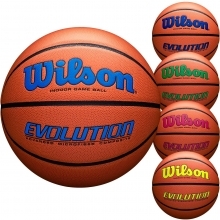 Available in 5 different colored logos. 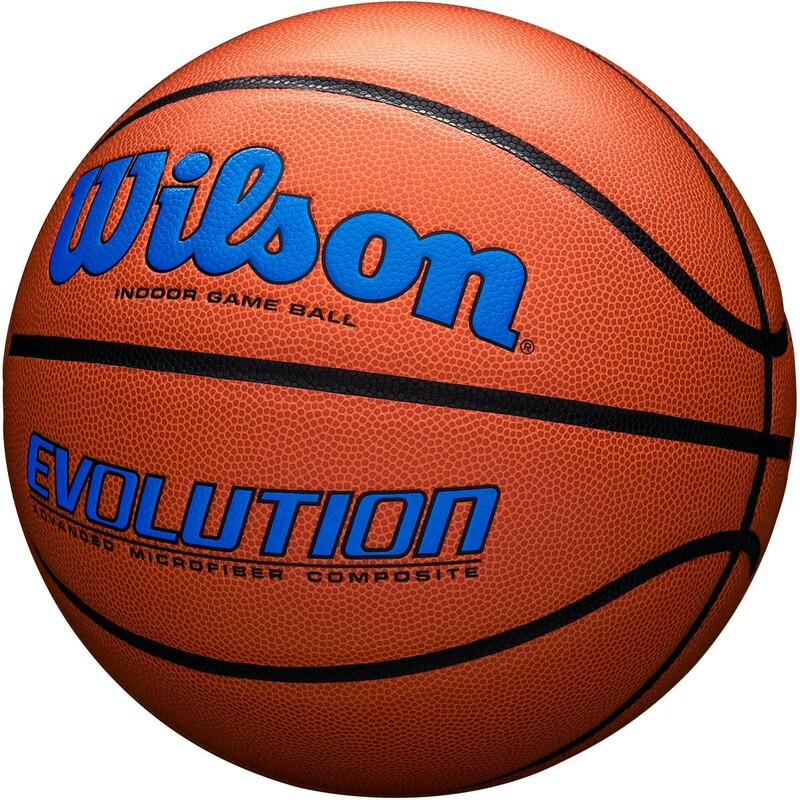 Approved by NCAA and NFHS.